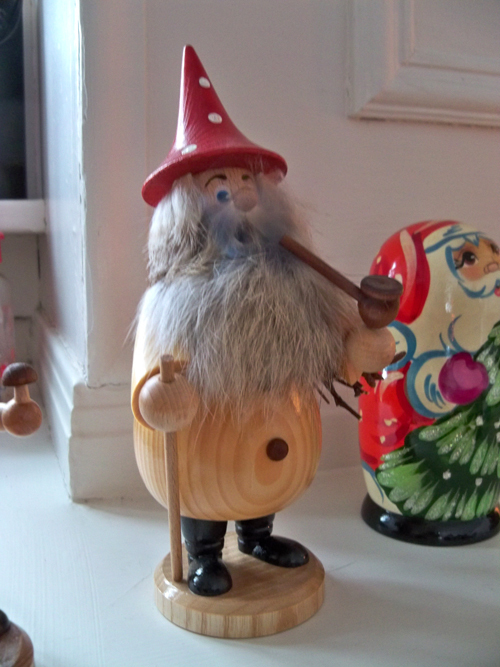 I got two of these smoking guys last year in Germany. 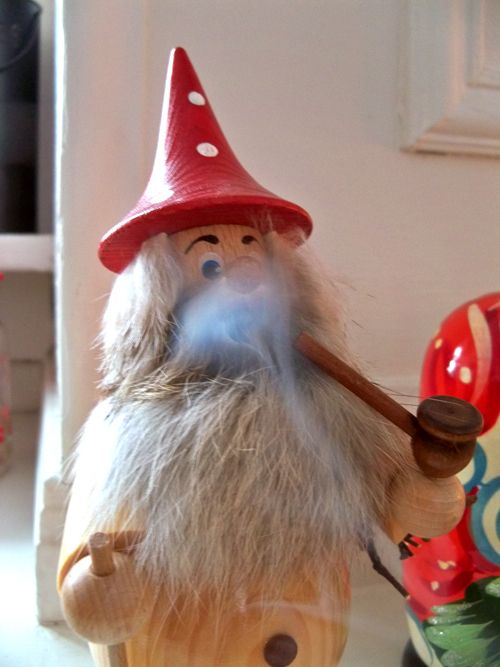 You put incense inside and the smoke comes out his mouth. I haven't used it because I was a little nervous about putting a burning cone inside a wood object. I finally gave it a shot and it worked pretty well. This does not mean I condone smoking for real people.